Axis is the world-leading provider of network video solutions for professional installations. Axis introduced the world’s first IP-based network camera in 1996 and is ranked number one in market share with over 1,000,000 network cameras installed worldwide. Axis is an IT company offering network video solutions for professional installations. The company is the global market leader in network video, driving the ongoing shift from analog to digital video surveillance. 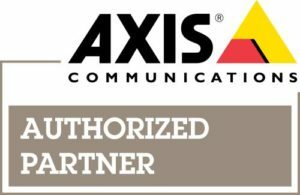 Axis develops and marketing innovative network video products i.e. surveillance cameras for installations in schools, in retail, on buses and trains, and for public surveillance. Worldwide presence in more than 30 countries, 914 employees. Global presence through resellers and system integrators in more than 179 countries. Axis cameras are available with the latest features and technologies, including HDTV quality for accuracy, power over Ethernet (PoE) for easier installation, MPEG-4 or H.264 compression for significant savings in required bandwidth and storage and HTTPS encryption for secure data transmission. A broad product line of over fifty different cameras insure that there is always the right camera for the job.